To assist designers, I will outline seven key principles applicable to a warehouse or DC design, compiled from a review of literature, discussions with industry specialists and materials handling companies, plus my own design experience gained over many years and projects. One warning before I begin. The principles will not make you into a seasoned designer, but they will help you understand the salient aspects of the design task, and help you plan your facility for optimal performance. Is it part of a network? What types of goods will be stored? What is the anticipated life of the facility? Will it be a green-field site or an existing facility? It is vital to write these objectives down so that all associated parties remain cognisant of the expected outcome – especially when timing, budget, or resource issues during the project tempt stakeholders to compromise operational or design goals. The efficiency, effective utilisation, running costs, working environment of your warehouse all depend on its fitness for purpose. This becomes even more important as distribution and fulfillment processes change in line with the shift toward omnichannel sales. Few warehouses are merely storage facilities these days, and the last thing you want is to have to extend your facility or outsource certain activities just because of inadequate design considerations. The objectives you have in mind for your facility should influence its size, physical design, its proportion of indoor warehousing versus outside yard space, its location, dimensions, and structural composition, along with provisions to be made for specialised equipment installations and division between storage and working spaces. A) Quantities of products to be stored. B) The throughput velocities, including incoming goods, customer orders, inter-facility transfers, dispatches, and returns. C) The nature of orders and specific picking requirements, e.g. is picking performed in containers, pallets, cartons, inners, or single units? Now if you are thinking that this is easy, think again. It is one of the hardest and most time-consuming components of a design project. Why? Because rarely do enterprises have such data readily available. Designers must therefore ‘mine’ it from the enterprise as best they can. In cases where data is piecemeal or nonexistent, the designer must draw from experience to fix assumptions around volumetric estimates. This can be particularly challenging when heavy scrutiny is placed on the designer to prove the concept, and is best performed with the collaboration and agreement of the stakeholders involved. D) What functions need to be provided for? It’s imperative that the designer understands all of the functions to be included on the site footprint, e.g. warehouse, offices, gantry cranes, loading docks, forklift-charging areas, dangerous or hazardous goods, cool or cold rooms, clean rooms, manufacturing or packaging operations, staff facilities, etc. It is equally important that relative dependencies between functions are determined, so that the designer can correctly frame functional proximities for best flow and operation by staff. Warehouses are expensive capital investments, so when you design a new one, you want to be sure your business will not outgrow its volumetric capacity or throughput capabilities too quickly. That’s exactly what will happen if, for example, you underestimate the quantities of products your warehouse must comfortably hold. I say “comfortably” because you never want your warehouse to be running at 100% of physical capacity. After all, aside from anything else, you need a fair amount of working space. It’s not just about storage space though. You will need to make sure you calculate, for example, how many intake doors will be optimal for your volumes of incoming goods. If you have too few goods-in doors, you may suffer bottlenecks in your goods-receiving processes, which not only influence your own operation, but those of your suppliers too. While planning too many doors might not affect your operation, it will add unnecessary cost to your warehouse design and build. Once the data has been analysed, the designer is ready for equipment selection. Be it static racking equipment, mezzanines and the like, or mechanical equipment such as conveyors, carousels, stacker cranes etc., all equipment and systems must be applied according to their purpose, limitations, and suitability for the volumes handled. For instance, it is a waste if an automatic storage and retrieval system is installed, when a conventional racking system will suffice. Equally, if the facts justify a high-velocity automated system, it is foolish to ignore them for the sake of a more conventional system. One critical aspect of equipment selection is that the designer has an expert understanding of the equipment and technology available, and knows how to apply them. This is a complex area and deserves careful consideration. Novice designers should consult material handling equipment and software suppliers, builders, and industry specialists to ensure the design is well founded, robust, and practical. This aspect incited some interesting comments from my web conference colleagues. From their counsel and my own experience, I suggest that the skillful designers apply two immutable laws of flow. The best warehouse operations are those adhering to this principle. Whether straight, clockwise, counterclockwise, up or down, make sure the flow is one-way only. But here is a tip… Be cautious when dealing with international customers, whose cultural or religious beliefs may drive specific requirements. An interesting challenge that I experienced on a recent project was the Hindu philosophy of Vaastu Shastra. The customer politely stipulated that the warehouse flow should be clockwise, heavy goods should be stored in the south-west, with lighter products in the northeast. The front door and offices should face east with entry to the site from the north. This provided an intriguing set of constraints that I happily applied to the design of the site and building. The key point here is that despite restraints, the designer should stick to the one-way flow principle. The second rule of flow is that free movement has priority over storage capacity. If you are pressed with a choice, the pundits agree that it’s better to hold flow sacrosanct, as opposed to building more stock or storage equipment. Why? Because long after the warehouse construction is complete, a team has to work efficiently and safely in the warehouse year after year. If the design compromises on the size and quantity of aisles, for the sake of more stock holding, beware the possibility of suboptimal performance over the facility’s lifetime. A simple rule that says it all: keep manual handling of products to a minimum—ideally no more than 3-5 touches while goods are in the warehouse. Sadly, I have witnessed operations that handle goods as many as eight to ten times. Severe design or building constraints are often at the root of such situations. But the outcome is evident in the maxim: ‘more touches, more cost’. Take note! A) Quantitative analysis: Return on investment, payback, cost per order to supply, cost per order cubic metre to name just a few. B) Qualitative analysis: Reviewing the advantages and disadvantages of options considered. Ideally, the evaluation is best performed both individually and in a team workshop environment. It is amazing what can be revealed when a team collectively focuses its attention on a project. Despite the meticulous job the designer may have performed, a workshop can often reveal a late insight, idea, or missed detail that can adversely affect the final design. As part of the development process, all should be regularly consulted on planning and legal matters, operational needs, preferences, ideas, and opinions. In my experience, no single party has all the background and knowledge to implement a DC project. The best implementations feature a cohesive and dedicated team charged with managing the project from early design through to completion. I thought I’d add the following tale to demonstrate just how easy it is to make warehouse design mistakes. The subject of this tale is a company that failed to consider principles 3 and 4 correctly. Their decision impacted the efficiency of one of their largest distribution centres for its entire lifespan. What makes this story interesting is the fact that the company (a global brewing enterprise) commissioned two almost identical distribution centres for construction at the same time. The warehouses were to hold two types of beer. One type required cold storage to maximize shelf life, while the other type was pasteurized and hence, had a much longer life. Though the main structural design for both warehouses was identical, the regional management teams responsible for each, was given a free hand to design the interior layouts, including the exact location of the internal cold storage rooms. Because of the twinning aspect of the project, the effects of design decisions were especially clear, discernable by comparison of post-implementation performance. The cold stores were large, consuming around a fifth of the total warehouse footprint, and would have large entrances for forklift access and egress. One team chose to locate the cold store in a corner of the warehouse, with a single door for access. The other team viewed a cold store with large doors at either end, located right in the center of the warehouse as more efficient for pallet handling. One door would face the receiving end of the warehouse, and the other would face the dispatch area, which certainly sounds like an efficient approach. However, it proved not to be the case. After the warehouses began operating, it became apparent that internal design choices brought very different results for each of the regional operations. The team that chose the centrally located cold store experienced higher labor costs. This was because although cold store access and egress routes were efficient, the volume of cold-stored beer was considerably less than that of the products that could be stored at ambient temperatures. Worse still, over time, cold-stored product volumes began to decline as changes arose in the company’s retail and wholesale market. The centrally located cold store effectively became a large, immovable obstacle occupying prime space that could otherwise be used for pick faces for fast-moving products, which is precisely how the equivalent space was used in the other warehouse. With the fridge in the warehouse centre, picking/put-away routes had to go around it, lengthening travel distance/time to an extent that demanded a larger workforce than the sister warehouse. Just to add insult to injury, the centrally located cold store also cost more to operate, as two specialised air dams were required to stop cold air escaping from each of the two doors, while the cold store in the other warehouse had only one door and hence, one air dam. If there is a moral to this cautionary tale, it is that when designing warehouses, especially those that will perform multiple functions, it pays to treat the process a little like a chess game, and think about all the ramifications of each potential design decision before committing to it. It is easy to make mistakes, and once made, they can be very costly. That’s why I can’t recommend strongly enough that you engage external help, preferably from a design or consulting company with a strong reputation and successful record of build projects across a range of industrial domains. Well, that concludes this short article on the Seven Principles of Warehouse and DC Design. I trust that you will find it useful, and that your enthusiasm for the design process will be sparked or invigorated. However, there is one more design tip that I would like to share. Please be mindful that the design of warehouses generally flows from the inside out, not from the outside in. In other words, design the materials handling system before the building. This is most important to remember when dealing with architects and construction companies who are well qualified at ensuring the best construction and décor of a new building, but not necessarily at designing the best materials handling operations. That’s all for now dear reader… I wish you all the best in your pursuit of high-performance warehousing operations. Of course, if you should need some help with a warehousing project, the team here at Logistics Bureau is ready and waiting to get involved. To find out more about our warehouse design and layout services, get in touch with us today. Editor’s Note: This post was originally published in July 2013. It has since been revamped and updated with information that is more comprehensive. The most recent updates were made in October 2018. Mal Walker is manager, consulting, with the Logistics Bureau, where he leads the Warehousing and Distribution centre Design practice. He works with local and international organisations and has over 30 years’ experience in warehousing and supply chain, 15 of which have been in consulting. 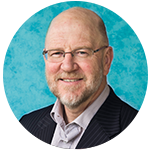 He is a life Member of the logistics Association of Australia and Member of the council of Supply chain Management professionals. He holds qualifications in engineering, logistics and business administration. Hi James. Some warehouses you walk into just ‘feel’ right don’t they ? Very good article Mal. I to have over 30 years experience all across North America, specifically Third Party Logistics.To possibly summarize with one key word: CONFIGURATION. For three main topics: Warehouse, WMS application, Staff. Thank you! Very nicely written, alongside we need to categorize the product also, to get the right material storage type, in order to optimize the space allocation, if these parameters are not aligned with these which might increase your entire logistic cost, Warehouse rentals, what type of Materials storage utilized in the warehouse, and the MHE equipment used to move the materials, which will also contribute to the productivity of the entire warehouse design,No of docks required, staging area required that can be calculated if we are going with the greenfield projects, even lot of continuous improvement projects needs to carry on the existing or brownfield project to increase the efficiency. Very good article.One point which I would like to share is on space constraint.Today in Singapore, due to shortage of land, all logistics centres and warehouses have to go high rise.Indeed it’s becoming a challenge to compact as much goods as possible into a tight storage space.We used all kinds of space optimization storage equipment to maximize storage – compacters, double-deep racks,logimats,mezzannine floors up to 3 levels high.Anything else we should consider.? You seem to have tried all the traditional methods. Then it comes down to increasing product velocity…….to improve inventory turns. Today’s distribution center is different than it was 15 or even just five years ago. From Warehouse (for product storage) to Distribution Center (which adds many value-added activities), from DC to Omni-channel DC – where the future of the supply chain is more about pieces than pallets, all these changes demonstrate why it is a great challenge today to design or redesign a distribution center correctly. How does warehousing support the supply chain (SC) strategy? Your article explains the design principles of a distribution center focusing on the correlation between the strategic objectives of the company and the role of the distribution center in meeting these objectives. The order of presentation and application of these principles in DC design (analysis of DC functions in supply chain, analysis of incoming orders, internal flow and storage processes, choice of support equipment to match volumes (IT Systems and material handling) demonstrates great professional expertise, all these activities having to be done by a complex team and prior to the construction of the warehouse. Although the best warehouse is “no warehouse”, yet we need to have one or two considering the turn-around-time of our hauling units brought about by the worsening traffic condition in our area. Your article gives us additional pointers in constructing/selecting future DCs. Yes, in an ideal World, we would not have a warehouse. I’m a student of logistics. I just love reading this. Thanks, Mal and Logistics Bureau. I am doing a research paper on distribution center project. Risk Register and Risk Profile is used to define the high risk and quantify them by Value at Risk to see the project profitability. Do you think it makes sense? Yes. This is a common thing to do.